Westerly RI is known for many great things. It has many great beaches, Watch Hill, The Ocean House, and Misquamicut. What many people don’t know is that Westerly RI has a rich heritage brought here by our ancestors decades ago. Today, Westerly is serving up some of New England’s best drinks and dishes and putting Westerly food and restaurants on the map. We get asked all the time, where do the locals eat? So, we went on a trip around Westerly RI to sample some of the best Westerly has to offer. We tasted pretzels, craft beer, oysters, pizza, steaks and even danced our asses off to come up with the list of the Top 10 Restaurants in Westerly RI that the locals frequent. Our list is not in a particular order. We feel these are the places the locals love and the tourists need to visit during their stay. Our list is based on: Food, Selection, Service, and Atmosphere. This one could very well be the best restaurant in Westerly serving up some of the finest meals in town. Taylor Swift is even known to frequent here while in town. The bar area and restaurant is a very modern style and you quickly notice the positive vibe of the place during busy hours. The drink menu is excellent and complex. We tried the gin martini made of sake and ginger at the recommendation of our server and it was amazing. It definitely gets the taste buds popping. For an appetizer, we split the Parisian salad and tuna tacos. We were blown away by both. The tuna was so fresh and tasted so good. For a meal, we tried the grilled scallops with crab and the veal bolognese with homemade gnocchi. Both dishes were absolutely amazing. The sauce that accompanied the scallops was to die for and the gnocchi was delicious. 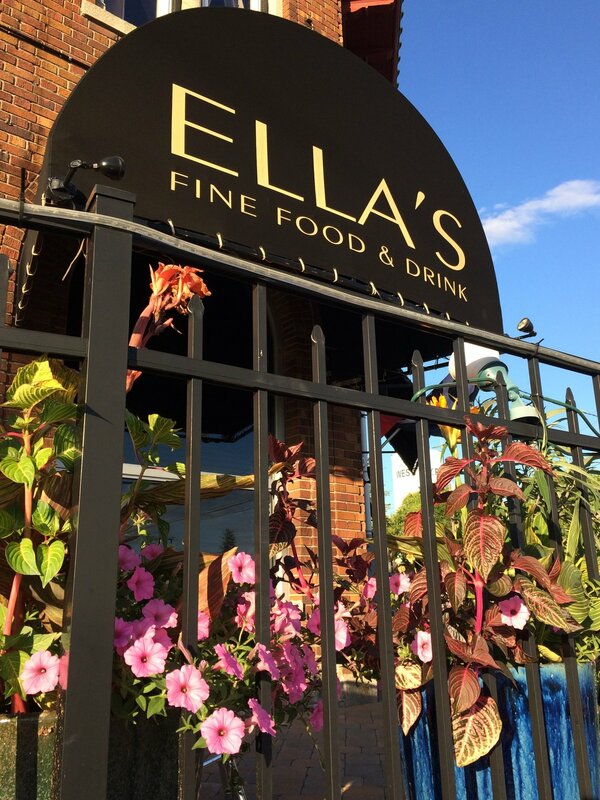 The staff was so pleasant, the food was absolutely amazing, and the atmosphere was upbeat making Ella’s a one of the top 10 restaurants in Westerly RI. Another local favorite of the locals. Bridge has one of the best scenes in Westerly especially on their patio over the summer and for their Sunday Brunch. They have a young, knowledgeable, hip staff and very accommodating general manager. They have an extensive drink menu, the freshest seafood, raw bar, and even a large selection of vegan items on the menu. We started with two dozen delicious oysters followed by their crisp and very light calamari and fish tacos. We wanted to make sure not to stuff ourselves because there was live entertainment playing that was awesome. So instead of eating, we kept drinking and enjoyed the music! An awesome staff, great food, great atmosphere and killer night life make Bridge Restaurant one of the top 10 restaurants in Westerly RI. A staple of the Westerly restaurant scene for years and they have done an amazing job of always being consistently awesome no matter where they are located. The place was absolutely packed so we decided to sit at the bar and had an amazing time. There was an extensive craft beer list and imaginative drink selection of which the bartender was very in tuned with and made some great suggestions. Here we started with a Caesar salad which was so fresh and the lettuce so crunchy it was the perfect way to start out meal. From there, it was onto the crusted salmon and the in the pink pasta dish. Probably two of the best dishes we’ve ever had. The salmon was perfectly crusted on the outside and moist inside, while the in the pink was bursting with flavor and so delicious. We were so full from beer and food that we skipped the dessert recommendations from the bartender and had an after dinner drink instead. We recommend 84 Tavern as one of the top 10 restaurants in Westerly RI for its many years of offering fantastic meals, great service, atmosphere and such a high level of consistency. This one might be the most flavorful restaurant in Westerly RI. Noodle Revolution brings exotic foods and flavors from the other side of the world right here to Westerly. While it may be one of the newer places here, this restaurant packs a punch and delivers great customer service with a smile. We started with the steamed chicken dumplings. These were so tasty and fresh. We then moved onto the main course of drunken noodles and wonton pad thai, all I can say is wow. Everything came out so fast but was cooked so perfectly. The drunken noodles were amazing and had a slight kick to it. The people next to us were enjoying the ramen immensely and highly recommended it to us. I’m already looking forward to trying them on my next visit! We recommend Noodle Revolution as a top 10 restaurant in Westerly RI for the amazing dishes, friendly staff and did we mention the food? This establishment could be our favorite hot spot in Westerly. The owners have done an amazing job of offering an extensive unique drink menu including plenty of craft beers on tap. The atmosphere is very upbeat and fun, with plenty of room. It has the local feel of a dive bar but its in a modern setting. We started with a beer sampler flight before settling on a local IPA and a Kentucky Bourbon Ale. This is comfort food city serving the most delicious sandwiches served on pretzels rather than buns or bread. We tried the chipotle pepper and smoked gouda pretzel as an appetizer. If you were looking for flavor you got it with this tasty treat. From there, we had a meatball sandwich made of pork meatballs and roast beef sandwich. Both were the perfect complement with our beers. As the nigh went on, the place got busier and busier but it didn’t bother us. We loved it! We met some great people and the vibe was awesome. We stayed to last call and uber’d it home. The Malted Barley is definitely one of the top 10 restaurants in Westerly RI. This place serves only breakfast and lunch so we decided to hit the Cooked Goose the morning after we hit the Malted Barley. THANK GOODNESS. We were running on empty with a little bit of a hangover and the Cooked Goose was the perfect medicine. We were greeted with huge smiles and the suggestion of a beverage. Well, they say the best thing for a hangover is another drink so we divulged in delicious mimosa’s. At the recommendation of the staff, we went with the french toast and pancakes. I wonder if they knew? It didn’t matter. OMG. They were amazing. The French toast was light and fluffy and the pancakes melt in your mouth. The quiche also looked amazing but we were full and ready for a nap. We recommend The Cooked Goose as one of the top 10 restaurants in Westerly RI for the friendly and helpful staff, clean atmosphere and amazing food. This place offers some of the best seafood dishes around. The atmosphere is cozy and has outdoor seating for the warmer months. Our server was fantastic and made some great recommendations for us. First, she recommended a martini to start of their drink menu. So we got dirty and went for it. It was delicious. We then got the Asian calamari that had the best sauce ever with it and the lobster nachos. I could have gotten another order of both and been completely satisfied. Instead, we both had hot buttery lobster rolls next. Can you say OMG? Might be the best one I have ever had. The lobster was hot and the bun was perfect! We highly recommend The Sea Goose Grill & Raw Bar as one of the top 10 restaurants in Westerly RI for their cozy atmosphere, friendly staff and amazing seafood dishes. Nothing screams Westerly like italian food and Casa Della Luce is serving up some of the best local Italian food and serving up traditional New York Style Pizza. Just walking into this place you feel like you’re walking into grandma’s kitchen. The aromas are full of garlic and basil and the atmosphere is friendly and casual. It is exactly what you want with an authentic Italian restaurant. We came here to try the pizza and that I thats what we did. We were greeted by a tasty treat of two thin slices of cheese pizza to snack on while we waited. First, we tried the clam chowder with fritter croutons. This was crazy good. According to the waitress they use old bay seasoning in it and it is amazing. Then you guessed it we got the pizza! However, our waitress recommended the Buffalo chicken pizza. I have to admit I didn’t look at the menu to see the description that said it had carrots in it so I was a bit surprised to see them. However, they gave the pizza some bite to it and were a great addition to the pie. The blue cheese was extremely tastie and the waitress said they make it homemade. Some of the dishes people had around us were salads, ravioli’s and what looked like lasagna. The waitress also mentioned that their pastas were homemade as well. It is for all of these reasons but especially for the homemade dishes and home cooking feeling that we recommend Casa Della Luce as one of the top 10 restaurants in Westerly RI. It’s ST. Paddy’s day every day at The Brazen Hen. Not literally but you feel like you’re walking into a bar in Ireland when you walk into this restaurant with the Gaelic theme and scriptures on the wall. The atmosphere is fun and lively and if you go here you mine as well have a Guinness or a few, no one is judging! The owner of this restaurant also has a few other local Irish bars in the area and they all have a similar feeling and great vibe to them. The is your traditional pub food with an Irish flare kind of menu. The main Dishes and local favorites are shepherd’s pie, meatloaf, fish and chips etc. With the recommendation of our bartender we went with the short ribs and the Brazen hen dishes. The ribs were so tender and juicy they melted in your mouth. The brazen hen was accompanied with a sausage stuffing that was unbelievable. I mean really incredible. It was tasty! There was even live entertainment playing by the time we left. Unfortunately, we couldn’t stay very long time but we enjoyed it for a bit and jigged our way to our car. We recommend the Brazen Hen as one of the top 10 restaurants in Westerly RI for the fun atmosphere, great comfort food and great staff. We came to Guytanno’s from the suggestion of a friend. Do not judge a book by its cover because this gem is serving up some of the most flavorful and colorful dishes around. They call themselves an international restaurant and they bring in so many different flavors into their food. We started with the flank steak salad which was cooked to perfection. We were then ready for a drink and it was suggested we try the Peartini. This was ridiculously tasty and the fresh pear slices were a nice touch. For a main course we went with the Linguine and clams in a white garlicy sauce and baked cod with a heavenly garlic sauce. Yes, we like garlic! Unfortunately, there was no room left for dessert but we weren’t complaining. We recommend Guytanno’s café as one of the top 10 restaurants in Westerly RI for the the friendly staff, colorful food presentations, delicious flavors and very nice staff. Here’s a list of articles coming soon from SeeWesterly. Top 10 Best Pizza in Westerly RI, Top 10 Bars in Westerly RI, Top 10 Sandwich Spots Westerly RI and More. just had to leave a comment about Ella’s. My husband and I went there last Valentines Day and it was a horrible experience. We arrived at 5:00 and at 5:30 the chef came into the dining room and yelled at the waitstaff. This went on for several minutes. The food was a complete miss also, overcooked, very fatty duck and cold side dishes. I’m glad you had a good experience but for an uptown restaurant they need to be more professional and their food should be consistentlyi prepared.